Just in time for Parkinson's Awareness Month (April), the Michael J. 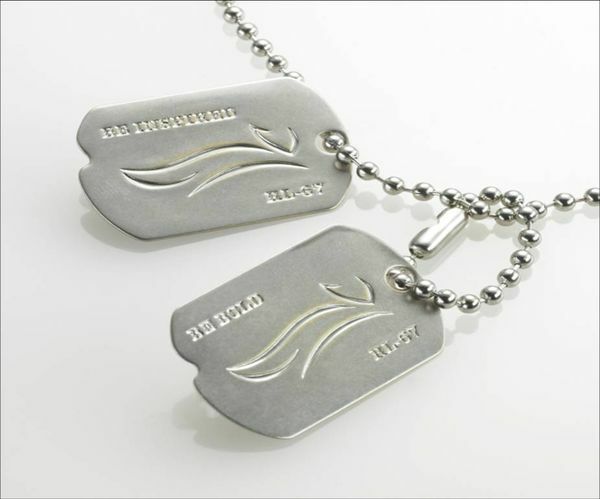 Fox Foundation for Parkinson’s Research has partnered with Polo Ralph Lauren to create a limited-edition dog tag necklace to raise funds for the fight against the debilitating disease. The nickel-plated brass tags, which are priced at $95 each at Polo Ralph Lauren in Beverly Hills and online, are engraved with quickie motivational quotes including “Be Inspired,” “Be Involved” and “Be Bold,” as well as the logo for the Michael J. Fox Foundation. Ralph Lauren is donating 100% of the net proceeds for the dog tags to the foundation. The unisex tags are a smart and stylish way to support a great cause.